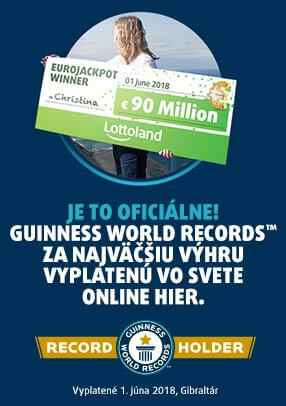 Lottoland would like to build on your enjoyment of the lottery and your fascination for multi-million Euro jackpots. So, to keep your experience positive, we have developed an effective player protection programme based on the latest research findings into addiction and player protection initiatives. A lottery winner has good reason to be happy. To ensure that only you benefit from your winning ticket, winnings are only paid on verified bank accounts and insured by our hedging partners. For larger prizes, we personally make the payment to the lucky winner. Learn more about how lottery winnings are paid by Lottoland. At Lottoland, you are always able to keep an eye on your spending and prize-winning opportunities. You can set your own personal spending limits, to manage your monthly investment into your lottery-winning dreams. Your game history ensures that you never lose a lottery ticket again, and you can see your returns at a quick glance. All your purchases and deposits are a glance away. If you wish to exclude yourself from playing at Lottoland, you may temporarily suspend your account or leave permanently by deleting your account. To further assist you in keeping to your limits, only one player pass is issued per person. We follow a simple principle: if we don't collect your data, we can't misuse it. In keeping with this simple yet compelling proposition, we only collect data that is required by law or needed to serve you better. We follow international banking practices, and protect your data from unauthorised access using the most current encryption systems. With our social features, we seek to counteract the increasing anonymity of the Internet. To protect your identity, your interaction with Lottoland is conducted via an arbitrary alias (change now) and you can change your player photo (upload now). Your notification settings further allow you to customise the notifications you receive from us. Gambling on the lottery is a pastime reserved for adults. We make use of multi-level verification systems during the registration process to verify the age of majority for our players. For adults that share their computers with minors, we recommend installing Net Nanny™ (freeware) or the Parental Control Bar™ filter. We utilise the RTA-label to keep our website out of reach of children and adolescents. If you have further queries about our protection of minors, you can contact our youth protection officer at [email protected]. Moderate play is the key to maximising one's enjoyment of the lottery. Compared to other types of gambling, lotteries don't show a significant potential for addiction, according to scientific studies. Nonetheless, we take our responsibilities seriously and make every effort to prevent the risks of gambling addiction. We are available around the clock, every day, to answer all your questions on the topic. For those looking for outside help, we recommend the Gamble Aware and Responsible Gaming advisory services. We also wholeheartedly support efforts to protect vulnerable players through the GREaT Foundation. We hope you will wait and see our future lottery innovations, designed to improve your online lottery experience. In our Lottoland Labs, we are constantly tinkering to come up with the next best thing!